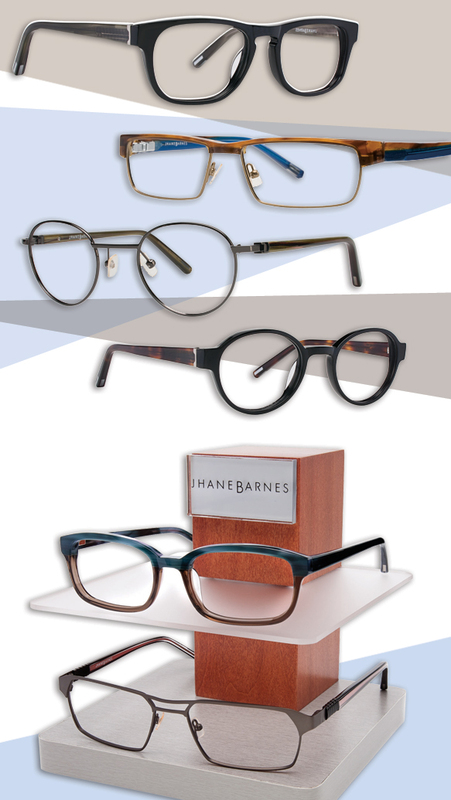 Men who have an affinity for sophisticated styling and vintage shapes will be shouting from the rooftops once they see the new frames Jhane Barnes has added to their optical collection. These dapper specs by Kenmark Group are the perfect match for practical guys who also enjoy showing off their fashionable taste at the office, on the town or on the go. The new models feature intricate patterns, exquisite quality and superb fit in round, geek chic, rectangular and traditional designs. The masculine color palette—made up of black, brown, tortoise, gunmetal, sand and steel—is further bolstered by an innovative coil hinge that is found on many of the frames to create a custom look. Something tells us you confident fellas won’t be able to resist these classy new Jhane Barnes additions. Take a look at a few of your options below!